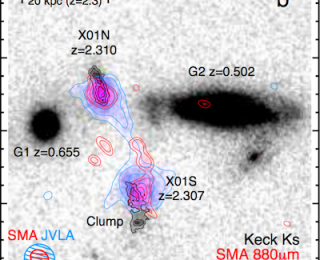 A team of researchers present multiwavelength observations of a rare merger between two massive, gas-rich starburst galaxies at a redshift of 2.3. 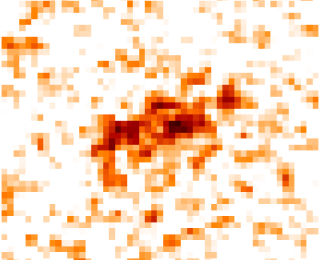 This kind of merger could help explain the presence of the most massive elliptical galaxies at high redshift. Moving mesh code AREPO looks like it will help astronomers understand the physics of galaxy formation and evolution better than its predecessors, due to an innovative new method of solving the fluid dynamics equations in astrophysical settings. This paper discusses the differences between AREPO and another code called GADGET in the case of gas accretion onto galaxies. 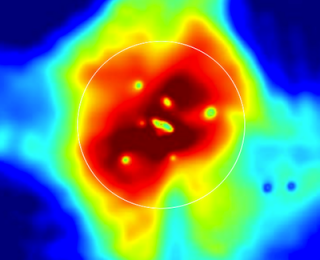 A team of astronomers working on the 3D-HST survey make use of the Hubble Space Telescope’s grism to observe star formation as a function of radius in a large sample of galaxies at intermediate redshift. 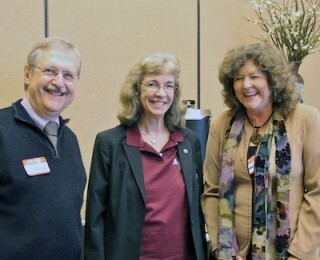 The weekend before the AAS meeting in Long Beach, 30 young astronomers participated in a outreach workshop for the new Astronomy Ambassadors program. 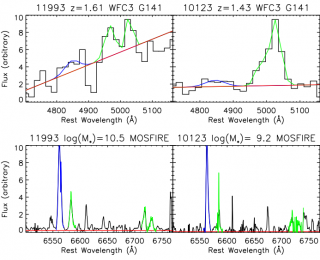 Using new data from the MOSFIRE spectrograph, the authors of this paper test the ability of classic emission line diagnostics to separate star formation activity from supermassive black hole accretion at high redshift. What they find may be important for understanding how the growth galaxies and black holes affect one another over cosmic time.